President Paul Kagame has arrived in Arusha Tanzania, to attend the 20th Ordinary Summit of the East African Community (EAC) Heads of State. 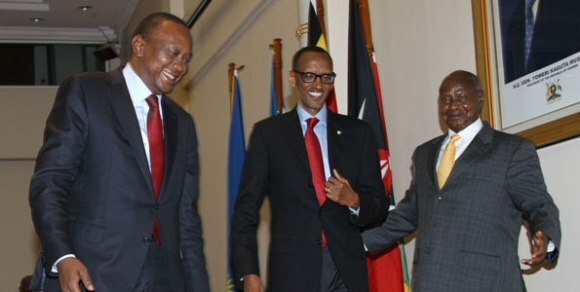 The President is expected to take over Chairmanship of the organisation from Uganda while Kenya will automatically assume the rapporteurship role for all EAC Policy Meetings. Bringing together Presidents from all six member states of the EAC to discuss the community’s progress in key sectors, the one day meeting is preceded by the 38th Extraordinary meeting of the EAC Council of Ministers and will see a change in the bureau for the EAC policy organs’ meetings. First established in 1976, EAC is a regional intergovernmental organisation made up of Burundi, Kenya, Rwanda, South Sudan, Tanzania and Uganda. Last year, the EAC heads of state summit was postponed twice after Burundi claimed that it was invited on a short notice.